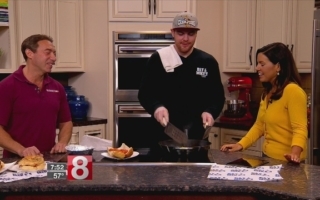 Good Morning CT Weekend: National Sandwich Day! 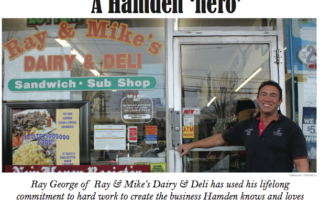 By rayandmikes | On November 6, 2018 | in Press with Comments Off on Good Morning CT Weekend: National Sandwich Day! 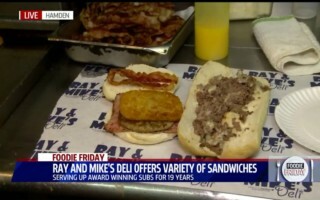 The irresistible sandwich made by Owner, Ray George and Tim Tarrant from Ray & Mikes was simply, irresistible. The sandwich is made with steak & cheese with buffalo chicken filet and can be put on either a roll, a sub or turned into a giant sandwich! 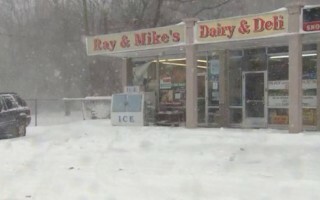 The Whitney Avenue deli and convenience store has been open every day of the year for the last 15 years.